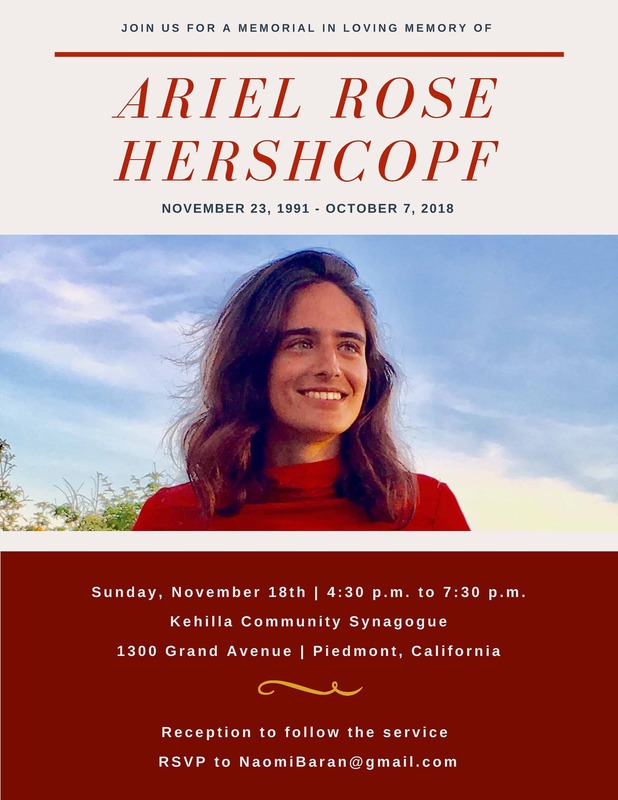 You are cordially invited to a memorial in loving memory of Ariel Hershcopf. Doors open at 4:00 and the Service begins promptly at 4:30 PM. 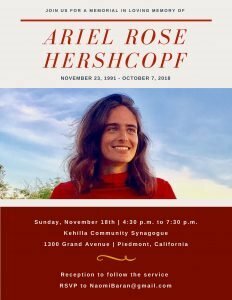 A reception will follow hosted by Naomi Baran and Major Jones.